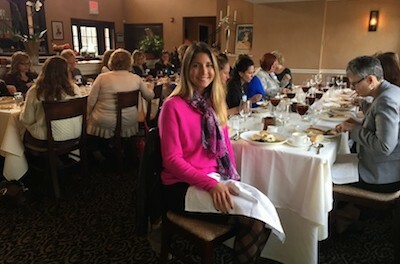 The Ginnie's House luncheon at Andre's, including Dr. Alexandra Miller. Photo provided. When child abuse is suspected, reported or disclosed, Ginnie’s House of Newton provides a safe place to address the healing and safety of the child and family. This is accomplished through providing a place for the coordinated efforts of individuals and agencies, including child protection, law enforcement/prosecution, healthcare and mental health professionals. Rhona Beadle, executive Director of Ginnie’s House handed out brochures to the psychotherapists to provide resources and information about reporting incidents or allegations of childhood sexual abuse. 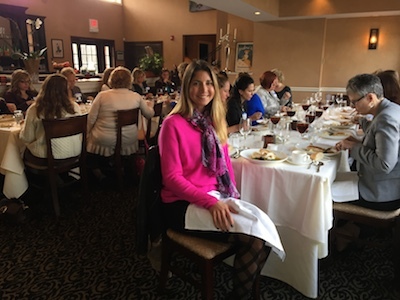 The three course meal took place at Andres by the Lake in Sparta and was generously supported by Thorlabs, Inc. “ People asked me why Alex Cable funded this luncheon and I told them he is a philanthropist and he cares,” said Miller.